1740NF Transport Case without Foam (Desert Tan) is rated 5.0 out of 5 by 2. Rated 5 out of 5 by Richard from Pelican Packs it all in Typical Pelican product. solid, latches are firm but easy to operate. Using for studio lights, tripods, stands etc. When packed well, things just don't break. Recommended for air transport of media items when properly padded. When loaded w/ photo gear this thing can easily top 100 lbs. Rated 5 out of 5 by Vic from Excellent Product better then I expected I use this case for all my Video equipment, slider, one man crew, tripod, steady cam. Fits everything and it is all secure, I love this case I travel from Florida to California to Mexico and equipment is secure..
We ship all over the world. You may calculate your actual shipping options/order totals by adding the items you want to a shopping cart. It will then list the shipping options, descriptions, ETA's and fees to your location. UPS ! DHL is is the worst of the world ! 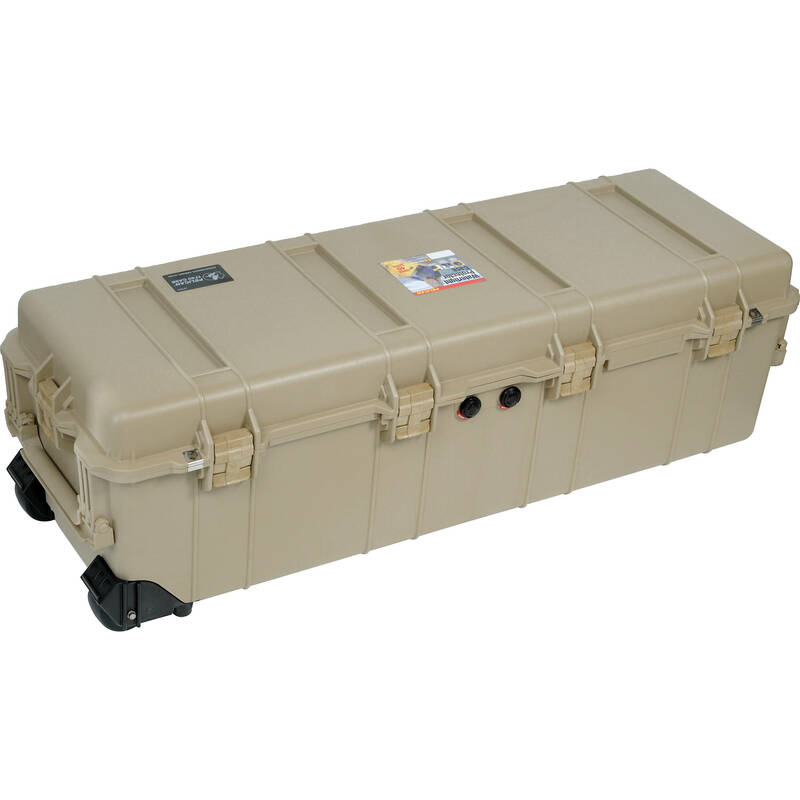 Can you stack Pelican cases model 1740? Just went up to the attic to check this out. Th grooves do not have the same spacing and so although they do stack nicely if you push on the 1720 (on top) it will slide across the top of the 1740. If you were just stacking 2-4 it would probably be OK. If you were traveling or had more than a few they might fall if not secured.